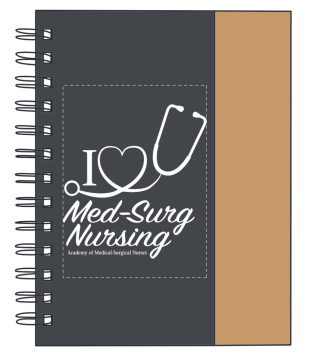 I Love Med-Surg Nursing notebook that includes sticky notes and a pen. 100% recycled. 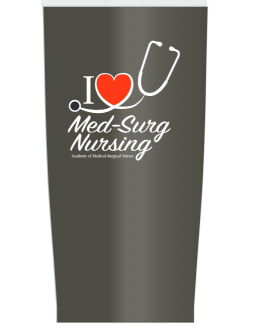 I Love Med-Surg Nursing tumbler for hot and cold liquids. Sold in packages of 25. Tell everyone that you love med-surg nursing with this delightful "I Love Med-Surg Nursing" lapel pin (1" x 1"). Sold in packages of 5. 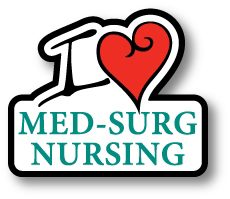 Tell everyone that you love med-surg nursing with this delightful "I Love Med-Surg Nursing" lapel pin (1" x 1"). 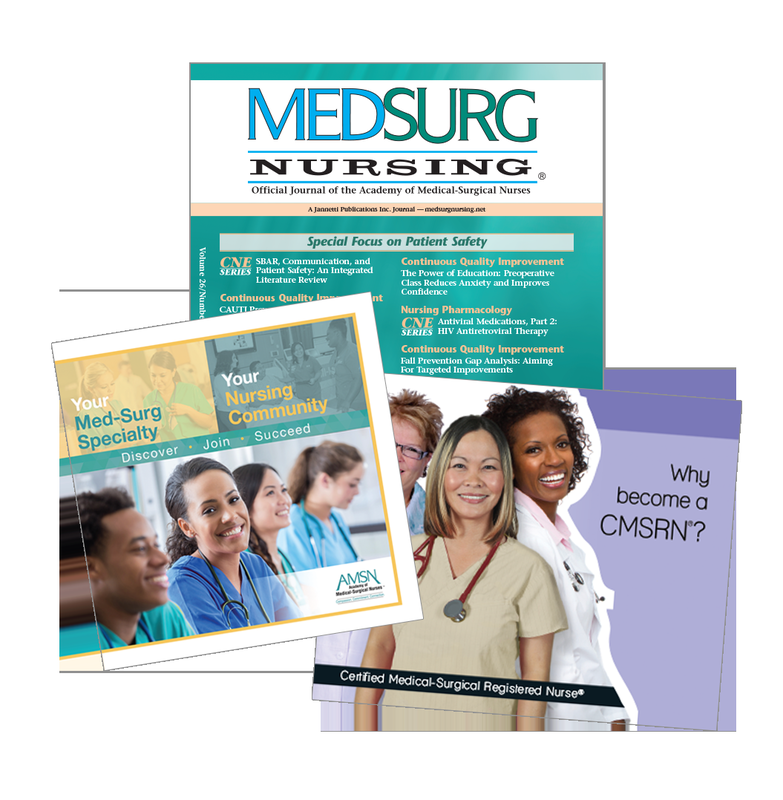 To learn more about AMSN, membership, CMSRN medical-surgical certification, and CCCTM care coordination and transition management certification order this free information packet.